Pegboard – Slide-Off Attachments #3DThursday #3DPrinting « Adafruit Industries – Makers, hackers, artists, designers and engineers! NOTE: The laser thermometer clip needs to be flipped to make this work. The one I originally designed is flipped the wrong way (shows the warning tag instead of the Ryobi logo), so I flipped the design for that piece before uploading it. Or, if you don’t care, flip the mount so the warning tag shows. Index Card holder: Holds a stack of 3×5 index cards. I use them for bed-leveling. 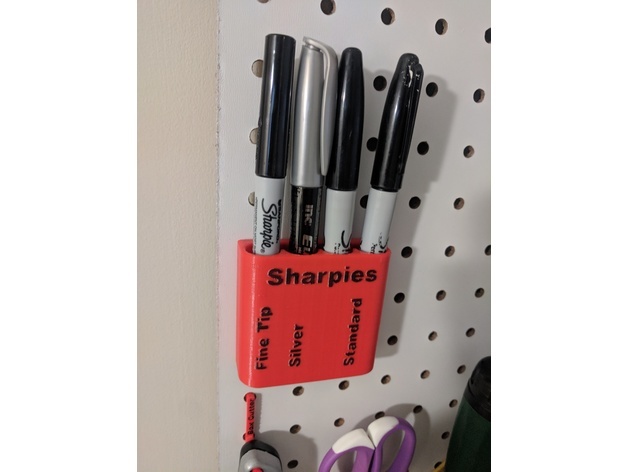 Just print the clips, pop them into the pegboard, and then the mounts should slide right in.